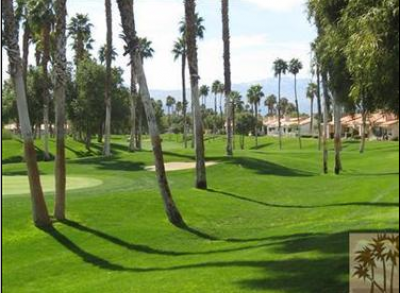 Well-known for over 21 years, the Palm Valley Country Club has built a solid reputation of excellence, perfection, and distinctiveness. Offering premium features and many amenities, their background for delivering quality performance is strengthened daily, rivaled only by their determination to provide an elite club that out shines the rest and the best. Both of the Golf courses, the Challenge course and the Championship course, feature rolling emerald fairways framed with the stark beauty of the desert with its sun cast hues. Water features add a jeweled elegance in the almost surreal setting. With multi level greens and challenges along the way, either course promises to deliver a satisfying time for any golf enthusiast. After playing the 63 holes on the Challenge course, or the 72 holes on the Championship course, you can wander in to the clubhouse, spread over 100,000 square feet, supplying the enjoyment of a myriad of activities, dinners, and so much more. You may want to relax with family or friends over a cold drink or play Tennis or go swimming. To round out your day of exercise, visit the fitness center for more focused workouts giving you a way to ease those tired muscles before you end your day. You can also indulge in a spa treatment that will have you very relaxed. The staff at Palm Valley take your relaxation and satisfaction quite seriously, nd constantly search for ways to better their services whether by example or through offering a myriad of amenities ranging from a warm up on the course, to all the best pro equipment available in the Pro Shop. The shop includes the best sports equipment available to assist you in your game. With the options to relax and unwind or exercise and stay fit, the best of both worlds are available here, at Palm Valley. he real estate listings qualify as prime locations with the variety of 14 different floor plans offering a range of sizes from as small as 949 square feet to as large as 3,485 square feet. Homes these sizes are built to perfectly suit their occupants, and with the perks of a spa, golf courses, tennis courts, and so much more, the life here is good. These homes offer a sense of community while building an feeling of enjoyment and relaxation through a full schedule of activities and social engagements enabling you to interact with new and old friends both. The charm and elegance are the membership options that give you, the guest, and the choice of level of interaction you prefer. If you would like to see property at Palm Valley Country Club, please call us at the numbers below. Elaine Stewart is committed to helping you find the home of your dreams.